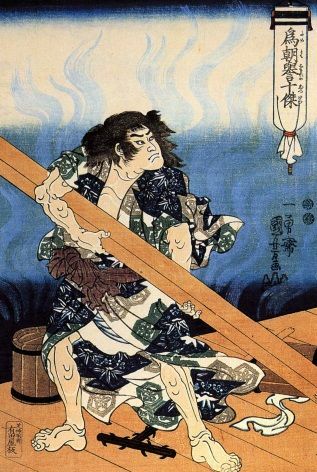 This vintage Japanese poster shows a Japanese man doing manual labour. The man is holding a large plank of wood. One of the privaleges awarded to samurai warriors was that they were exempt from manual labour.